I think this is a super moisturizing bar of soap that also exfoliates! 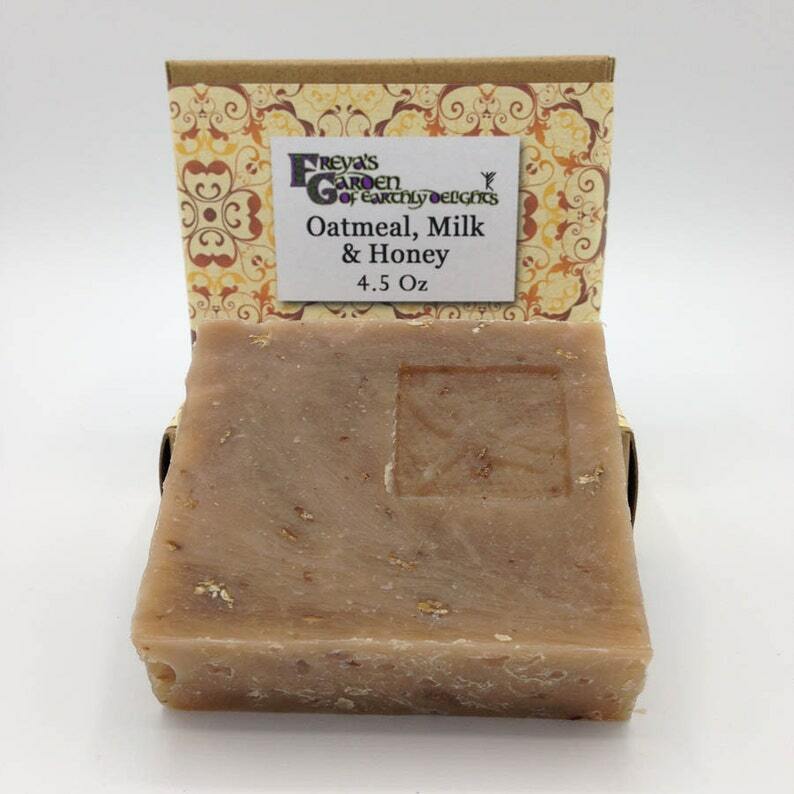 It has oatmeal in it for a gentle exfoliation and goatmilk for moisturizing. Whole goat's milk produces a super creamy lather. This bar smells amazing! It's a nice, light, unisex scent that is not overpowering. These nice, big bars are about 4.5 oz each. Each bar of soap is boxed and then wrapped in a pretty paper. They are labeled with the name on the front and the full list of ingredients on the back. They are all ready to give as a gift! Ingredients: Olive oil, water, coconut oil, lye, organic RSPO palm oil, fresh goatmilk, organic sunflower oil, shea butter, fragrance, oats and honey. Arrived on time and smells fantastic. Second purchase from store and will purchase again.